In common with many of its competitors our client, a major downstream oil company, made use of an industry standard econometric model to decide on the location of its new gas stations. Our client had discovered that some of its outlets were delivering up to 11 times the revenue predicted by this normally accurate model, and clearly they wanted to know why. Working with the client’s retail and IT staff AGILE8 consultants first agreed a project plan, approach and timetable for this knowledge discovery activity. We next used Insight© to deliver an initial assessment that was only partly successful. This indicated that all gas stations delivering enhanced revenue had an attached convenience store, but that the revenue from most ‘C’ store-equipped sites was in line with that predicted by the economic model. It was agreed that a next phase of work would look at the location characteristics and product mix within selected sites. Using Insight© our joint client and consulting team was able to demonstrate that enhanced revenue delivery was somehow associated with high population density and fresh baked bread. 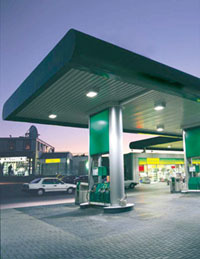 As the relationship required further clarity it was agreed to carry out a pilot programme at 15 gas station locations away from the original study area. In this, the chosen gas station ‘C’ stores were equipped with ovens and fans to blow the aroma of fresh baked bread across associated forecourt pump areas. The results of this unusual assignment and pilot programme delivered a very significant, but confidential, revenue improvement to our client. Following the pilot programme, bread baking facilities were adopted as a standard feature at gas stations with certain traffic flow rate, population density and residential occupancy characteristics.